In September 2013 Microsoft finalised a deal to acquire Nokia's smartphone handset business. The deal was worth $7.2 billion (£4.4 billion), bringing Microsoft's vision of becoming a 'device and services' company much closer, as well as bringing a new, and very plausible, CEO candidate into the mix: Stephen Elop. Skip forward to February 2014 and the wait for Microsoft's next CEO is over: 22-year Microsoft veteran Satya Nadella (left) has been selected, effective immediately, begging the question of what happened to Elop, a man with the experience and credibility to run Microsoft as well as previous experience within the company running the software division before jumping to Nokia's CEO position in 2010. At the time of the Nokia deal, many speculated that an ulterior motive may be in play. That possibly Microsoft wasn't paying $7.2 billion for the handset business but for a new 'outsider' CEO who could breathe fresh life into the beleaguered software giant, tapping into new trends in mobile and elsewhere in a way Steve Ballmer, the outgoing CEO, had failed to do. Nokia's brand recognition is negligible in the US, having sold only 8.2 million Lumia devices in the fourth quarter of 2013 (in contrast, Apple sold 51 million iPhones in the same period), leading some to question why Microsoft would choose not to start afresh with Microsoft-branded phones and spend the required billions on advertising. A potential answer was, of course, that acquiring Nokia brought Elop onboard again. When asked in an interview if Elop was on the Microsoft board's CEO candidate list, Ballmer (right) confirmed that Elop was - but refused to comment on whether his chances exceeded those of the other candidates. Would Elop have divested Bing and Xbox? In an interview with Engadget, however, Elop said he was "looking forward to being a part of driving [a] change within [Microsoft] in whatever capacity." Other CEO candidates included Alan Mulally, Ford Motor Company CEO, Skype CEO Tony Bates and Satya Nadella. From an outsider's perspective, Elop's chances were high. Now we know that Elop did not make it to the CEO position, and the answer to why is two-fold. A potential contention between Elop's vision for Microsoft and the board's necessity for the preservation of the company was the disposal of Microsoft's Xbox business and Bing search engine. Calls for the discarding of these parts of Microsoft are not new, and are backed by many industry analysts. A report by Bloomberg claimed Elop would maximise sales of Office and push Windows PC sales, but would dispose of Xbox and Bing, both of which did not fit in with his "broad strategic outlines for Microsoft". It is likely that Microsoft's board did not look favourably upon this potential strategic move having financially nurtured both facets of Microsoft's business with mixed success (Xbox is without doubt a success, but Bing consistently loses money). While Nokia's current performance is good – selling 8.2 million smartphones in a market that is quickly becoming saturated is no mean feat – it is not exceptional, especially when compared to other phone giants, such as Samsung or Apple. Before the iPhone, Nokia lead the field in smartphones, with its Symbian mobile OS occupying almost 90% of the global handset marketshare. Now Nokia's view is very different – and the blame lies almost solely with Elop, who chose Windows Phone over Android after cultivating Symbian and other niche operating systems, such as Meego. 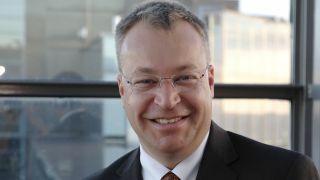 Anssi Vanjoki, Elop's rival for Nokia's CEO position in 2010, described his reign as "shameful" and "a complete failure". Only the next decade or so will show us whether Microsoft made the right choice with Nadella, and whether he will deliver on his promise to "accelerate [Microsoft's] ability to bring innovative products to our customers" both in Microsoft's software business and Nokia's hardware business. The next decade will also show the role Elop will play in Microsoft's next chapter, now that he is head of neither Nokia nor Microsoft. Microsoft, Stephen Elop and Nokia declined to comment for this article.